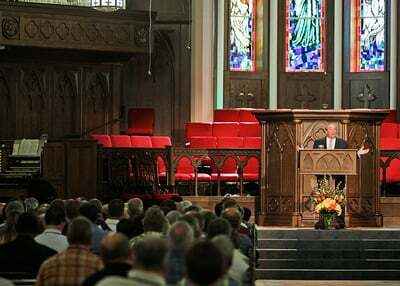 This past week, more than 350 pastors and church leaders gathered at Saint Andrew’s in Sanford, Florida, for Ligonier Ministries’ 2010 Pastors Conference. Mark Dever, Steven Lawson, R.C. Sproul, and R.C. Sproul Jr. addressed the theme of peace, purity, and unity in the church and topics including respectable sins, creeds and confessions, conversion, controversy, and church discipline. “Blessed Are You If You Do Them” - R.C. Sproul Jr. Questions & Answers #2 - Lawson, Sproul, Sproul Jr.